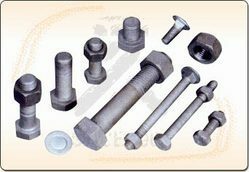 Our clients can avail from us a wide range of industrial fasteners that are designed using latest technology and are widely used in various industrial applications. 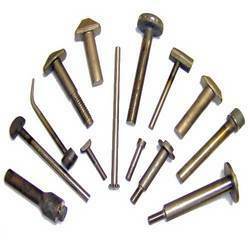 We are engaged in manufacturing of extensive range of industrial fasteners. 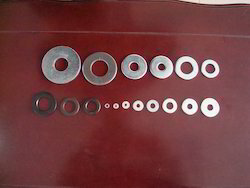 Our fasteners corrosion proof and having high tensile strength. Moreover, these can be easily modified in accordance with client necessity and are delivered on time. We are a well recognized manufacturer, supplier and exporter of a comprehensive range of automotive washers. 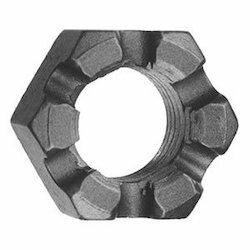 We are dealing in manufacturing of various kinds of nuts and bolts in large quantity by using the latest technology and at competitative prices in order to meet the specific necessity of the industry. We offer a wide range of nuts and bolts that includes: high strength bolts, automotive nuts (2h), long nuts, button head bolts, high strength bolts, hex head bolts(8.8), automotive nuts, high tensile nuts and bolts, nylock nuts. We fabricate our ranges as per our client details and specification. We are engaged in fabricating wide range of industrial pins, threaded bars, studs, Astm studs, double ended studs, stud bars. 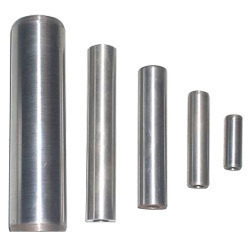 Our products are available in various diameters, length, thickness to befit the requirements of our clients. Our products are as per with the international standards and hence enjoy a wide market. Products are made from high quality material and are offered on reasonable prices. We are engaged in manufacturing of extensive range of Industrial Forgings. Our range includes Rough Forgings, Semi Machined forgings and Machined forgings. Our products are procured from reliable vendors, we use good quality of stainless steel and mild steel in the production of our gamut. Moreover, these can be easily customized in accordance with client requirement. 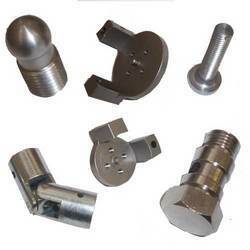 We offer to our clients a wide range of extensive range of Turned Components. Our range includes Precision Press Components and Semi Precision Press Components. Our products are highly appreciated among our valued clients for its finishing and high tensile strength. 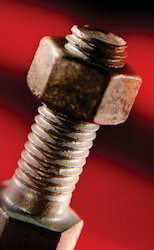 We are a manufacturer and exporter of all types of Industrial Bolts. We provide our clients with a range of Button Head Bolts, hex Bolts, Square Head Bolts, High Tensile Nuts & Bolts and Industrial Bolts that are manufactured using high quality metal and alloys. 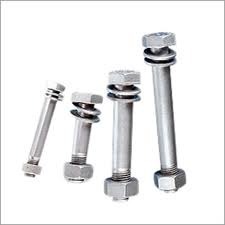 Many industrialists choose our bolts for their various applications in mounting and fixing many kinds of items. We have all the capabilities to satisfy all your heat treatment equipment and process requirements with the latest technology available and at competitive costs. We are one of the leading names in our field, passing through some glorious phases of success and development. 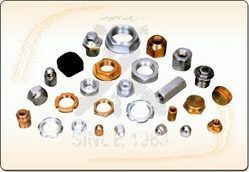 We are a manufacturer and exporter of all types of nuts like Automotive Nuts, Long Nuts, Grade 7 Nuts, HSFG Nuts and Automotive Nuts. Our range of nuts that are designed using the advanced technology and are in compliance with the international standards. These are available in various dimensions & shapes and are also customized as per the specific requirements of the clients. Offering you a complete choice of products which include Slotted Nuts. 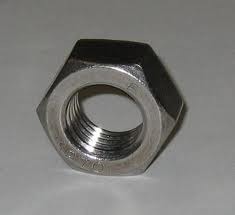 Pioneers in the industry, we offer Stainless Steel Nuts from India. 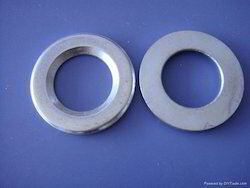 Our product range includes a wide range of DIN 6916 Washer. 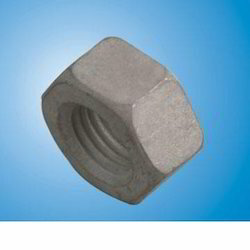 We are a leading Manufacturer of DIN 6916 Washer and Hot Dip Galvanized Bolt And Nuts from Ludhiana, India. Offering you a complete choice of products which include Hex Bolts. 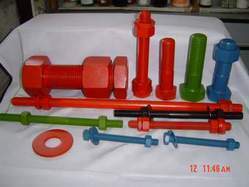 We are a leading Manufacturer of PTFE Coated Bolts from Ludhiana, India. 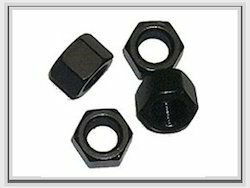 Our product range includes a wide range of Fluorocarbon Coated Fasteners. 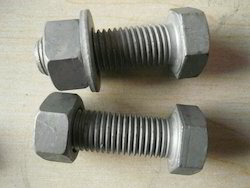 Pioneers in the industry, we offer Hot Dip Galvanised Bolts and Hot Dip Galvanized Nuts-Bolts from India. 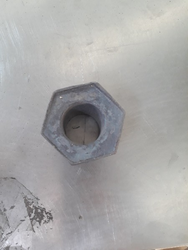 We are a leading Manufacturer of Hot Dip Galvanized Nuts Hot Dip Galvanized Nuts are from Ludhiana, India. Our product range includes a wide range of Hot Dip Galvanized Nut And Bolt. Our range of products include PTFE Coated Studs And Nuts. 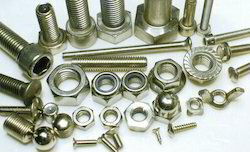 Providing you the best range of Rilsan Coated Fasteners with effective & timely delivery.